Malacca is a perfect arty farty weekend getaway if you live in Singapore. It is only a bus ride away and an easy place to get around on foot. You can see all the main sights within 24 hours! 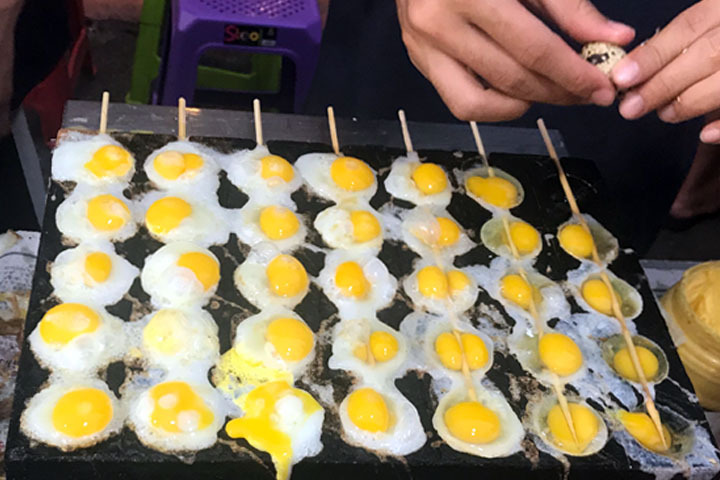 Malacca has an amazing foodie scene and the Malacca night market alone is worth the visit. Make sure you go on an empty stomach so you can sample all the local delights. But between eating and drinking, there is also shopping and some artistic things to do. Enjoy my 24 hour guide to Malacca! It is not a widely known fact that Malaysians are coffee lovers! In fact, Malaysia has a long history of growing and serving coffee. Coffee was first bought to Malaysia in 1779 and today coffee Arabica, Robusta and Liberica varieties are all grown. In Malaysia coffee is normally served strong with a dash of condensed milk. 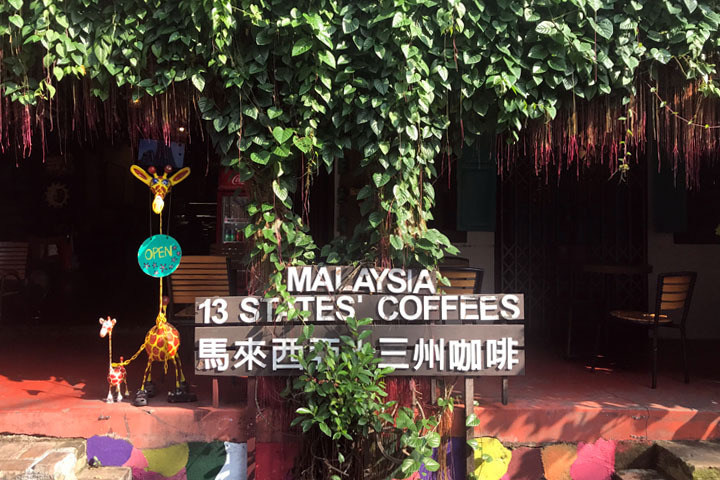 If you are keen to try the local brew, visit the 13 State’s of Malaysia coffee house. 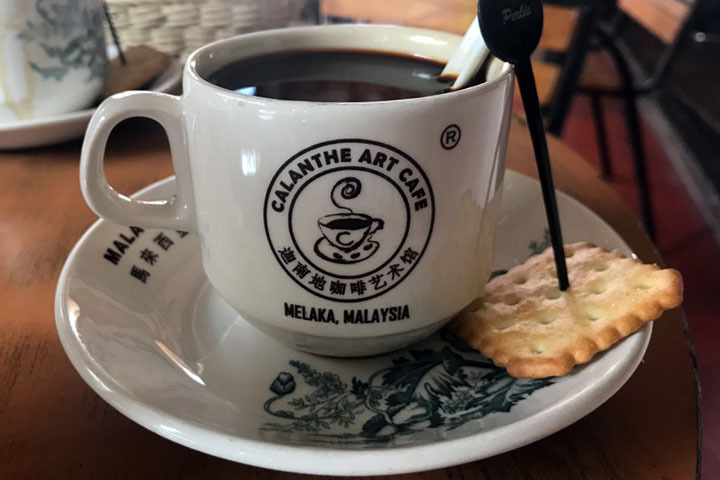 Here you can sample coffee from all the states of Malaysia as well as learn about the history and different properties of the coffee. During my visit I enjoyed a cup of coffee from the state of Perlis, where Liberica beans are grown. The coffee has a herbal taste and invigorating quality. Besides the coffee, this cafe is super arty farty with all sorts of quirky decorations as well as hand crafts for sale inside. Malacca also has a vibrant expresso coffee scene, with countless European-styled cafes dotting the riverside and main roads. 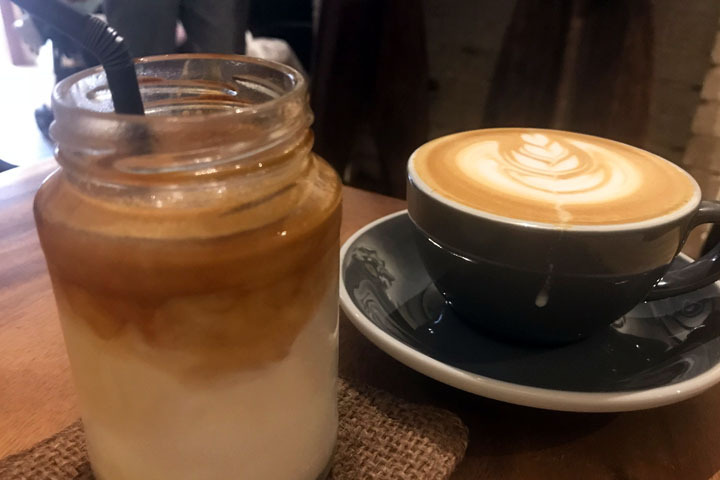 If you are feeling the heat, pop into the Coffee Jar for the creamiest and most amazing iced latte served in a jar… of course! Most people come to Malacca for the food. Every weekend, scores of visitors jump on a bus to Malacca to eat to their hearts content. 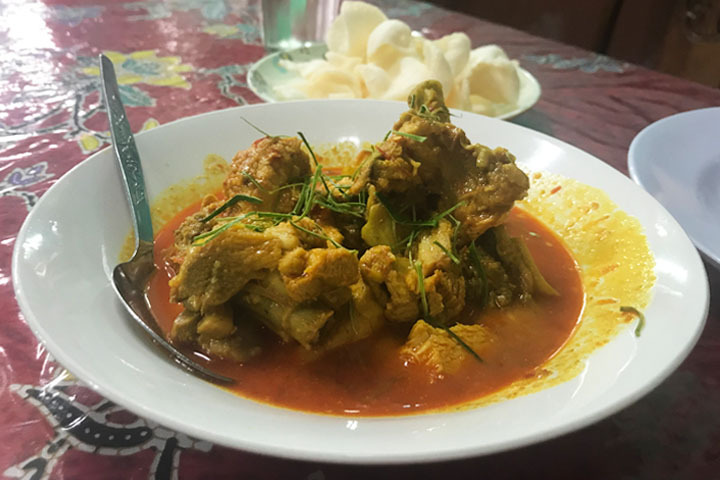 The city is most famous for its good Baba Nyonya cuisine. 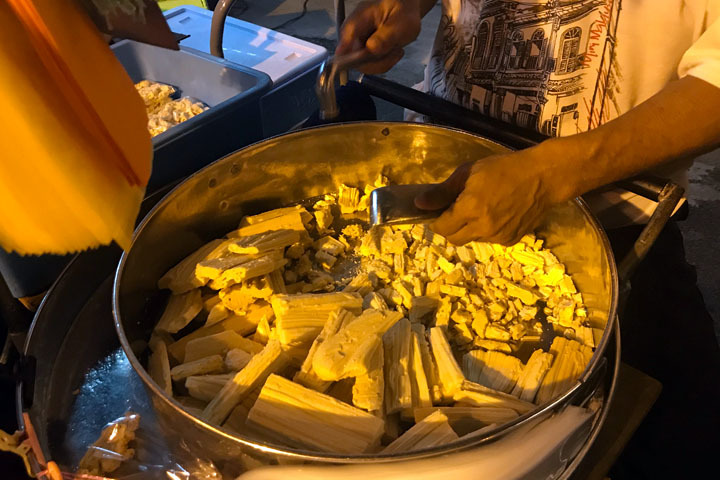 These dishes originate from the 15th and 17th centuries when Malaysia was under Dutch colonial rule and there was significant Chinese immigration to the region. 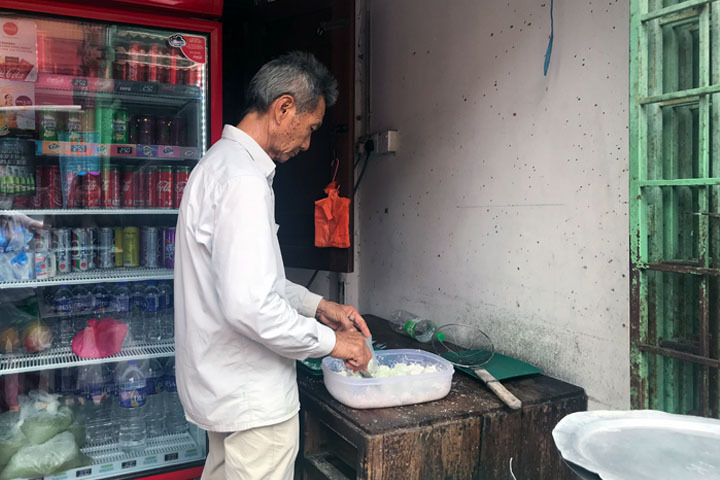 Chinese and Malay intermarriages, as well as European influence, resulted in a hearty fusion cuisine known for its rich gravies and use of aromatic spices, herbs and roots. Whilst there are many good Baba Nyonya restaurants to choose from, we visited the Kocik Kitchen as it was decidedly less touristy and still busy at 3pm in the afternoon (always a good sign). We ordered the classic dishes of chicken kapitan and prawn curry with rice. Flavours of lemon grass, coriander, coconut and chilli wowed our senses and the succulent ingredients satisfied our stomachs and our souls. Chicken and rice balls is another specialty of the region. If you live in Singapore, you will already be acquainted with Singapore’s national dish of chicken and rice. In Malacca, they take it one step further and serve the chicken together with rice rolled into tight and oily balls. 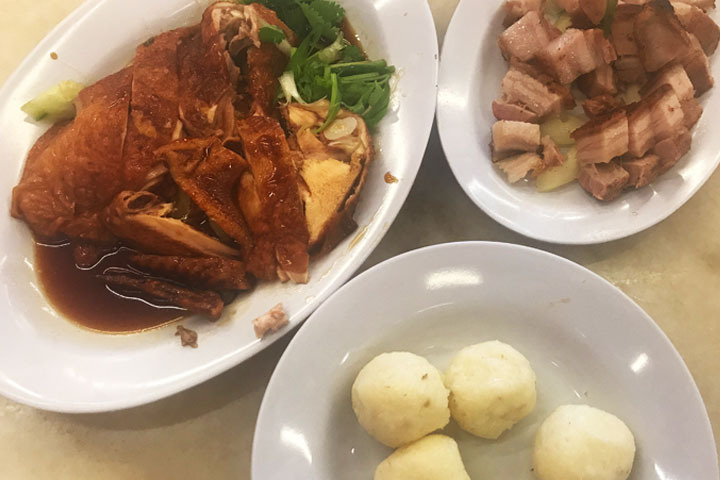 This is not recommended if you are dieting, but you only live once… Pretty much every chicken and rice ball shop has extensive queues during the lunch hour. We checked out the Famosa Chicken Ball house. We waited for 20 minutes in line before being served. The service was atrocious and the chicken was average, although the rice balls were tasty. We also ordered a side of roasted pork belly which was more dry than is typically served in Asia but nice and crunchy nonetheless. If something sweet is more your style, there are no shortage of sugary options to indulge in. The Cinderella Ondeh Ondeh street vendor on Jalan Hang Kasturi is must. 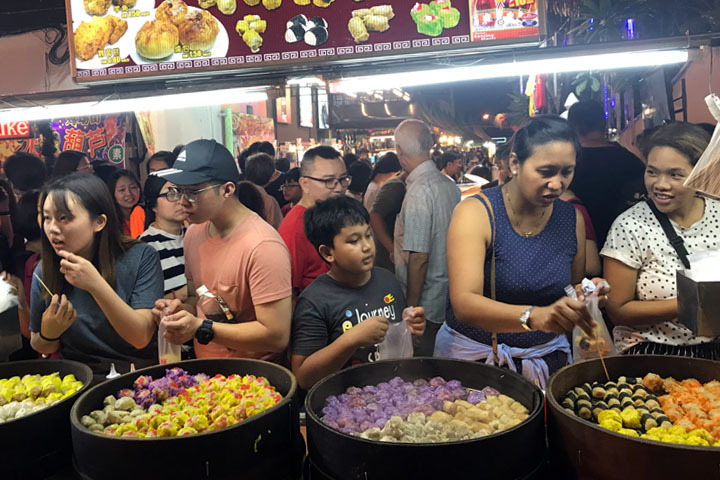 He is always there from early in the day rolling those delicious glutinous green balls, flavoured with pandan and filled with sticky palm sugar. My personal favourite however are the signature coconut milkshakes at Bikini toppings. I have always been an avid coconut fan and so it is just my luck that coconut milkshakes are a big thing in south east Asia! I have sampled coconut shakes across the region, and whilst the ones in Penang were pretty good they don’t compare to these creamy babies dished up at Bikini toppings. They are made with home made coconut ice cream, coconut water, fresh coconut flesh and desiccated coconut. Delicious and creamy, but not too thick or icy! The Malacca night market was the highlight of my trip. I have visited my fair share of night markets in Asia, from Harbin to Tainan and Ipoh, but this one was a favourite. Firstly, a couple of warnings before embarking on the Jonker Street market. It is hot – stinking hot! 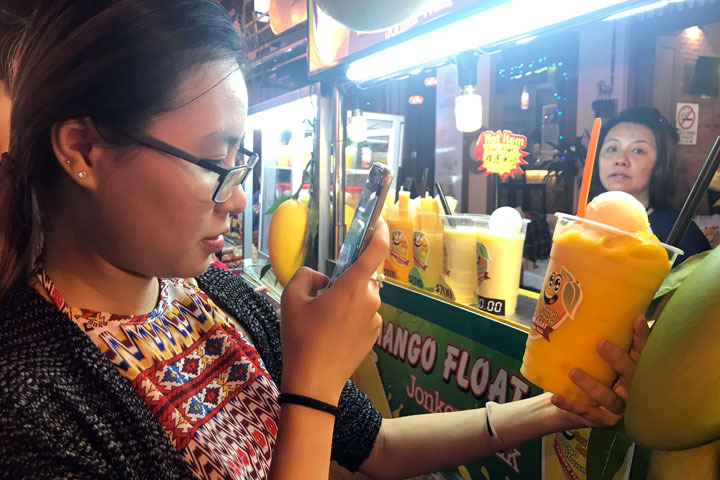 The weather is warm and humid all year round and the night market is densely populated with people, so be prepared to sweat. Secondly, make sure you visit on an empty stomach. Whilst there are plenty of interesting knick knacks to buy, it is the delicious food and drink that you will want to try. A prelude to the market is the crazy coconut stall. You cannot miss the spectacular showman carving up and juggling coconuts like it was second nature! It is quite the spectacle. Theatrics aside, make sure you grab a coconut water here so you are hydrated before embarking on the rest of the night market, which can take up to several hours. From here on out, your senses will be overwhelmed with the smells of cooking. 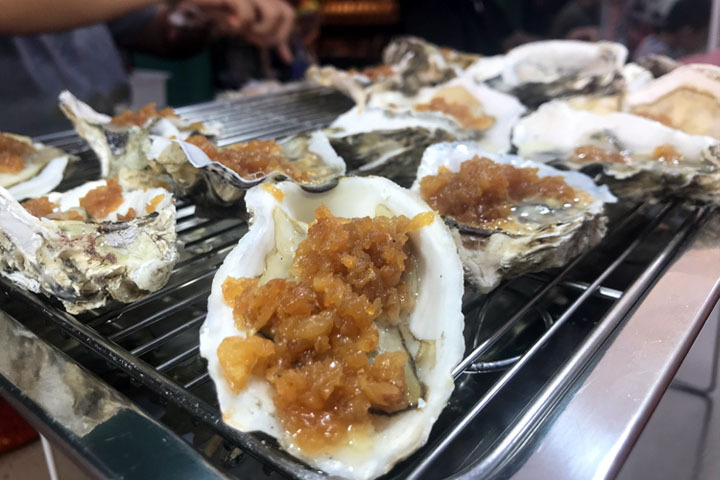 Popular food stuffs to sample include Chinese dim sum, Hello Kitty-inspired steamed pork buns, octopus balls, oysters with fried garlic, fried quails eggs, BBQ skewers and seafood, and many other wonderful treats. Pick and mix Chinese dim sum on giant steamers for cheap! 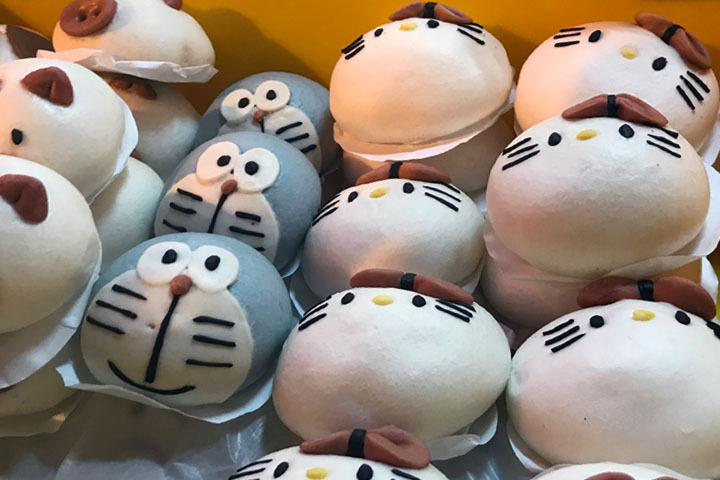 Steamed pork buns decorated as Hello Kitty characters! There are also plenty of tropical drinks. 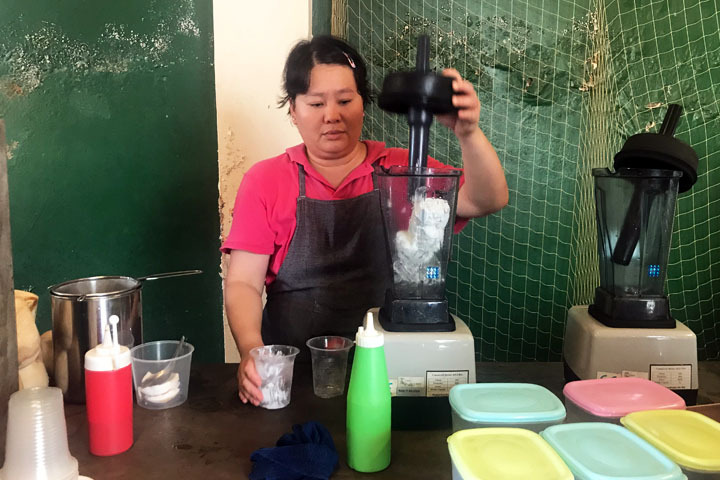 If you are not a fan of coconut juice, you will come across plenty of shop sellers serving fresh watermelon juice, chendol, mango smoothies and other coolers. Chendol is unique to south east Asia and is coconut crushed ice with pandan flavoured jelly and palm sugar. 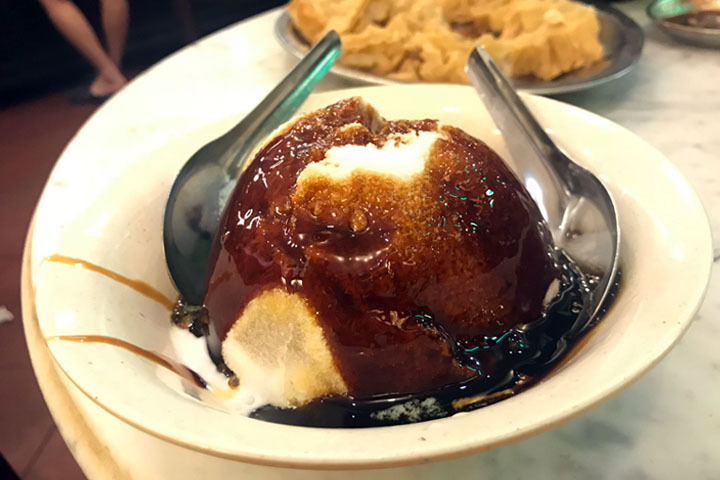 Gi Kiat Huay on Jonker street is famous for dishing up the best cooling chendol! 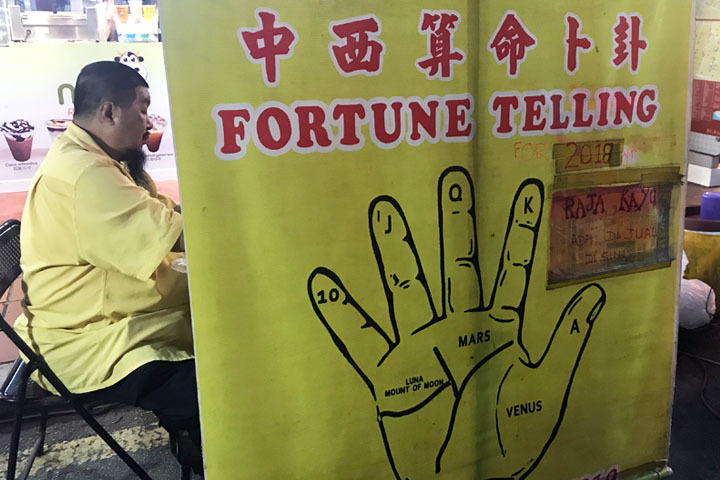 When you tire of eating, the Malacca night market has other entertainments such as fortune telling, shopping and traditional live music most evenings. 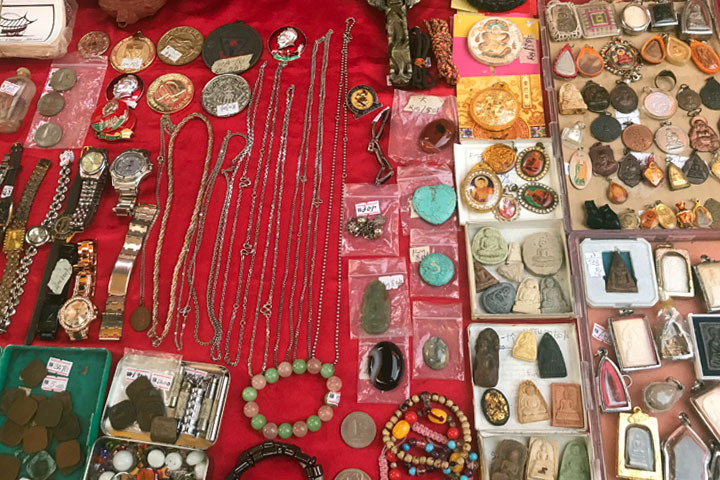 The Malacca night market has a number of stalls and shops selling souvenirs, jewellery, hand crafts, accessories and fashions. If you take your time, you can discover interesting knick knacks in addition to the usual commercial t-shirts, rip-off handbags and other rubbish they normally flog. 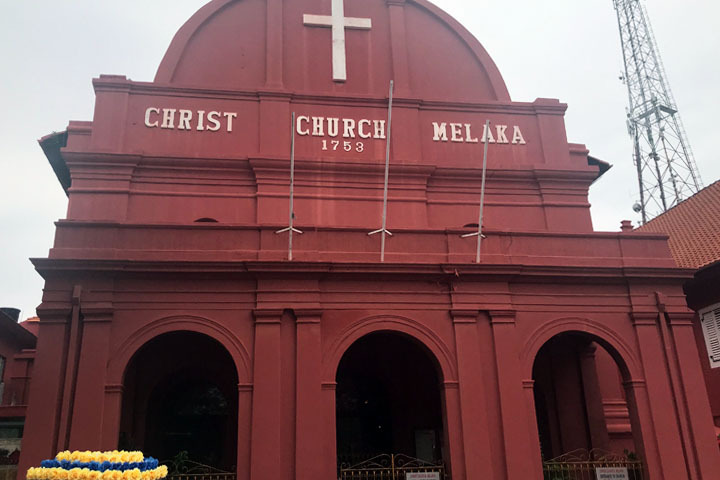 Malacca is famous for a number of old churches thanks to the areas European roots. Today the churches are not really operational, as the city centre is primarily catered to tourists and the locals are mostly Muslim, Buddhist or freethinkers. Nonetheless, they are beautiful. Christ Church by the city square is the most recognisable. This Anglican church was built in the 18th century and is painted in a deep terracotta colour with shapely roof and windows erected in the Dutch style. Beyond the clock tower and up the hill is Saint Paul’s church, which is the oldest church in south east Asia as well as the oldest building in Malaysia. 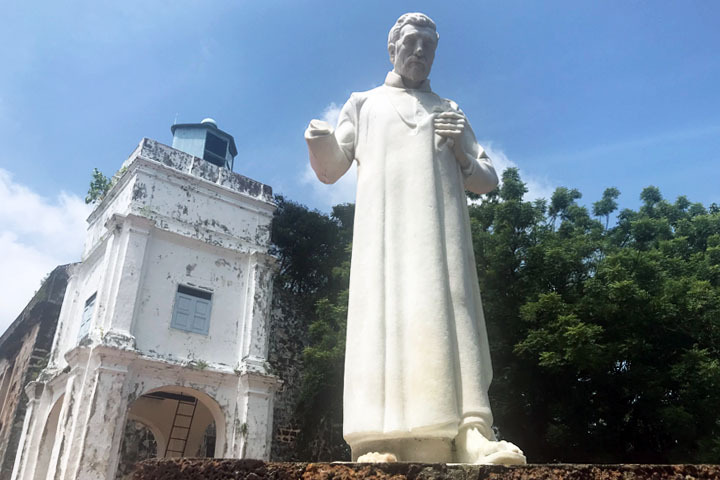 It was first built in 1521 by a grateful Portuguese traveler who sought refuge in Malacca. Whilst the church has undergone some redevelopments since then, it still looks like a really old building and many of the original engraved tombstones that once paved the chapel floor remain in good condition. Although the church is small, wandering around these ruins makes you feel like you are in Europe. The other notable church is Saint Francis Xavier church. 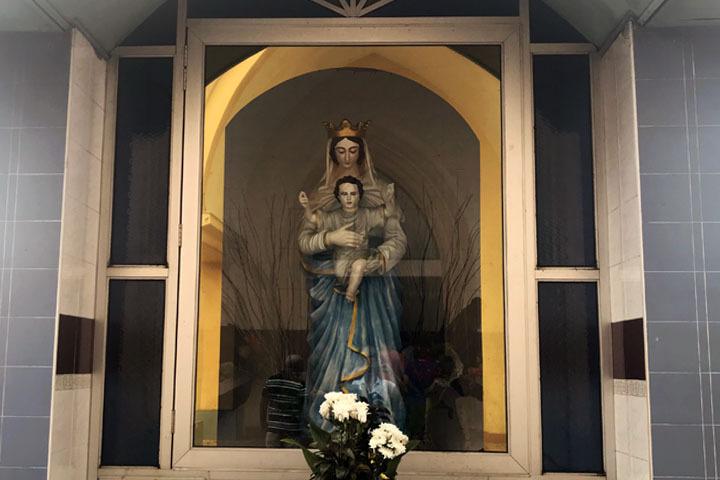 It is a little further from the main square and was originally erected in the late 17th century by a French priest. The church remains in good condition and was the only place of worship that seemed operational. I actually saw people praying here. Many visitors to Malacca from Singapore come just for the shopping. Here you can buy unique ingredients and sweets at cheap prices. Stroll along the main roads and stop at local shops for packets of curry, vegetable noodles, shrimp paste and chilli sauce. San Shu Gong is the place you need to go to buy popular Malaysian sweets and biscuits. 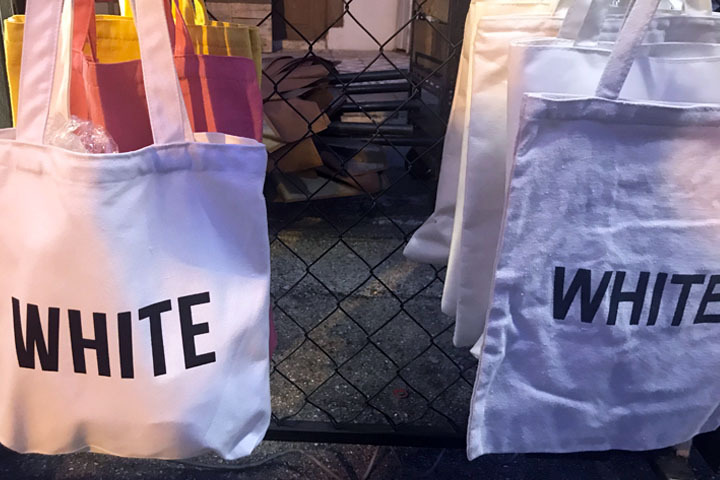 It is always packed but the brands they stock are reputable and make nice gifts. 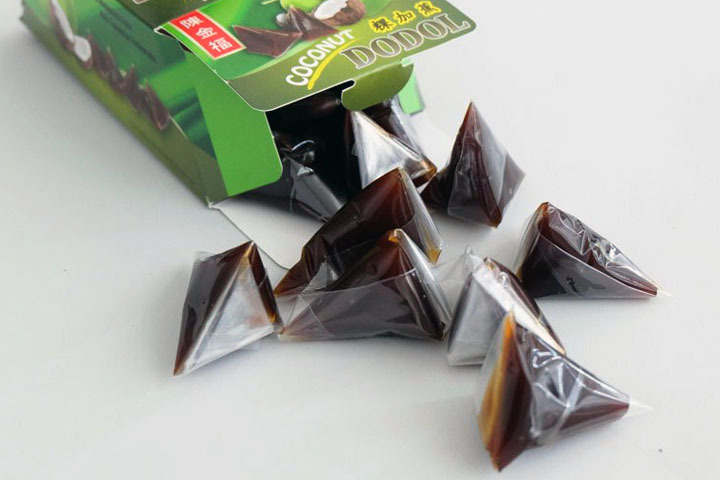 The hottest selling item are dodol, which are sticky toffees cooked with palm sugar that come in coconut or durian flavours. If you are really cheap, you might want to head to the Dataran Pahlawan Melaka Mega Mall for discount clothing, shoes and groceries. I made sure to duck into the Giant supermarket there and stock up on cat food for my kitties, it’s half the price of Singapore! Malacca has an arty farty vibe and there are so many galleries, craft shops and street vendors selling cutsie handmade items in every which direction. Spend an hour or two just strolling the streets and ducking in and out of the various stories. 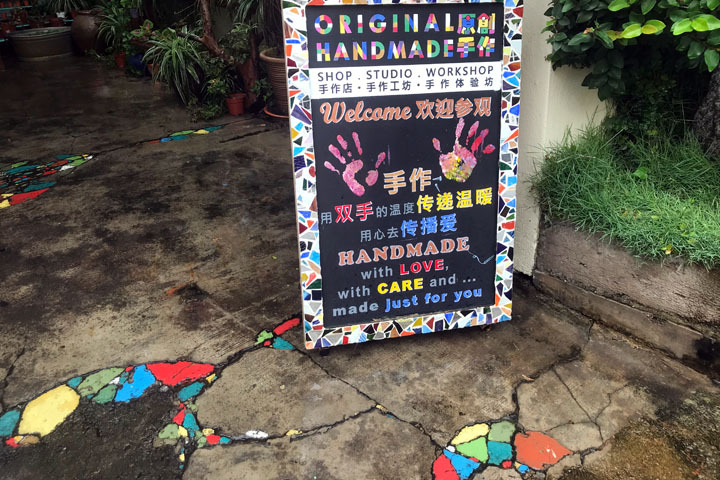 My favourite has to be the dinky store on Jalan Tun Tan Cheng Lock, where everything is made by hand and visitors can also learn to make their own jewellery. Everything here is hand crafted! 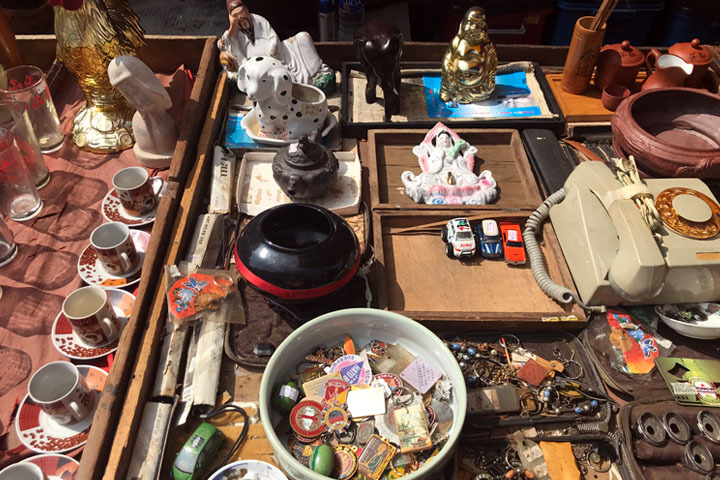 There is also the local flea market every Sunday morning, where you can see all sorts of old Asian stuff from ornate soup spoons and bowls to bitsy jewellery and some weird aged records. 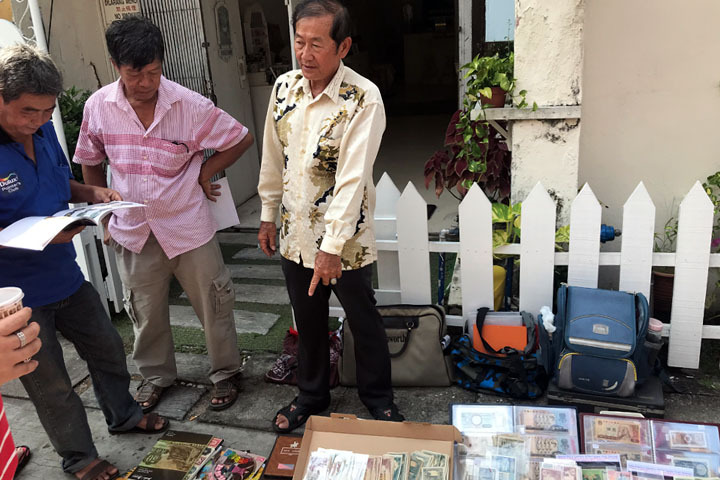 The market is on Jalan Hang Jebat. 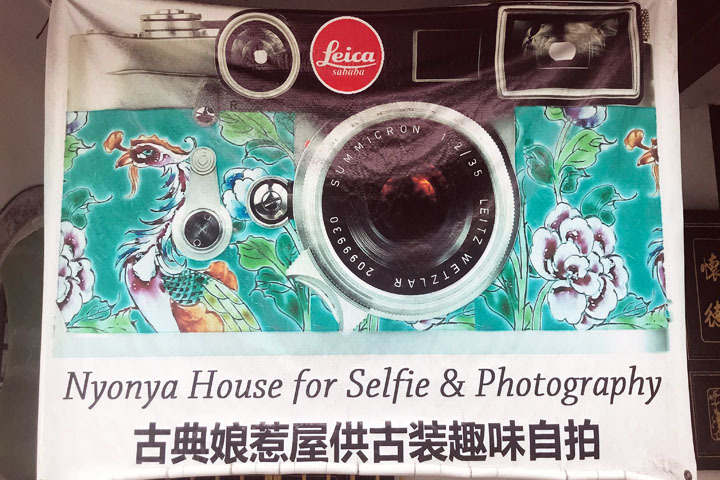 And if you are feeling really tourist, stop by the Nyonya House to check out some local photography and get a selfie in some traditional garb. Who doesn’t like a selfie? 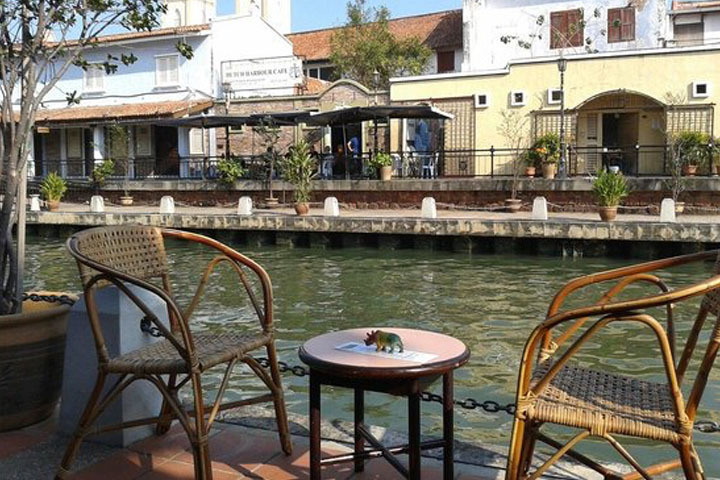 After plenty of shopping and eating, there is no better way to end the day than a cooling drink by the Malacca river. On one side of the Jalan Hang Jebat bridge you have lots of small, boutique bars with cute tables out front where you can enjoy a pint or two. The other side of the bridge tends to have your more larger pubs and hotels. One of the more popular drinking holes is Reggae on the River, which plays non-stop reggae music. Wherever you go, the alcohol here is much cheaper than Singapore so enjoy knocking back a few without spending a fortune. There is plenty to do in Malacca and this is not an exhaustive list. But if you are limited to 24 hours then you must head straight for the Malacca night market… happy eating and shopping! Wow, the variety of the choices available while you eat and shop through Malacca. I’ve seen some gorgeous pictures of my friend who visited the area. Although I think she was the type to look for really good spots and angles and focused more on how good the picture looked instead of the whole experience. Ha ha, she never did share to me how abundant the dimsum is on the streets! I would want to experience this for myself for sure.